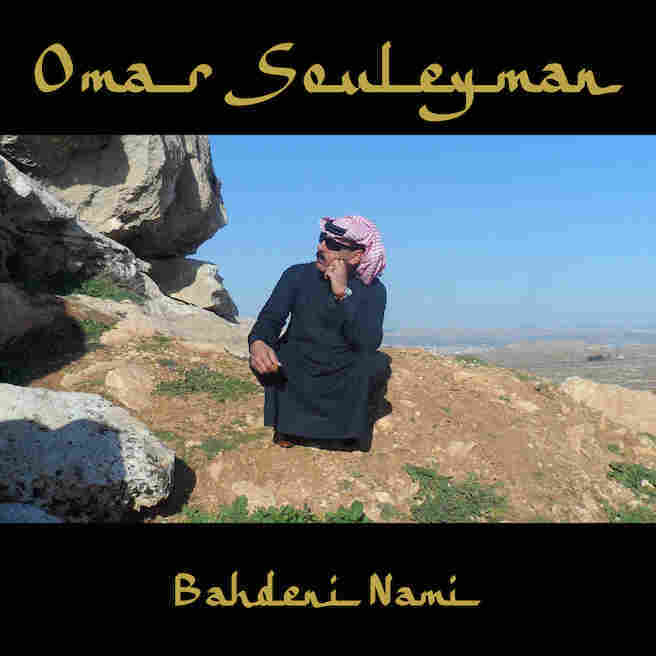 Review: Omar Souleyman, 'Bahdeni Nami' There may be no more unlikely act in indie/electronic music than a sunglasses-and-keffiyeh-wearing wedding singer with a chain smoker's gruff voice. There may be no more unlikely act in indie/electronic music than a sunglasses-and-keffiyeh-wearing wedding singer with a chain smoker's gruff voice. But Omar Souleyman is no ordinary musical act; if anything, he's one of the most resilient performers you'll see on the summer festival circuit, whether it's at FYF Fest, Big Ears Festival or Bonnaroo. Not that Souleyman's music is inherently strange itself. His repertoire draws on the dabke, a Levantine Arab folk circle and line dance popular at weddings across Lebanon, Palestine, Jordan and Souleyman's home country of Syria. And, while the synthesizers deployed by his close musical collaborator Rizan Sa'id update the bouzouk or mijwiz accompaniment, Souleyman's sound would seem traditional to most of his countrymen. But Souleyman exists in a cultural purgatory of sorts, exiled from Syria due to the ongoing conflict there and touring across the world before audiences that might never understand the heartbreak in most of his lyrics, much less know how to dance to dabke. He may be the most popular (read: only) dabke performer known to stateside listeners, but in most Arab-American communities, he's rather obscure. What carries Souleyman's electrified folk form across to festivalgoers is the 4/4 underpinning everything. It's what no doubt helped land his latest album, Bahdeni Nami, on Modeselektor's Monkeytown label. While most of Souleyman's previous output (some speculate that there are more than 550 recordings) kept the circle of collaborators tight, beginning with 2013's breakout album, Wenu Wenu, Souleyman began to interact with Western producers. Four Tet's Kieran Hebden helped last time around, and he appears again in the title track, as do the likes of Gilles Peterson, Legowelt, Black Lips and Modeselektor itself. Despite that eclectic range of folks in the producers' chair, they mostly follow Hebden's previous example in respecting Souleyman and Sa'id's vision and not leaving many fingerprints on the music itself. Where the dance-music influence is most noticed is in the duration of the seven tracks here, almost all of which stretch beyond the seven-minute mark. That extended run time allows for more of Souleyman's vocals, but it also gives plenty of space to Sa'id, his dizzying keyboard shredding an ecstatic thing. Four Tet and Peterson keep closest to Souleyman's previous aesthetic, while the two Modeselektor-produced tracks boast a more pronounced kick drum. Providing a curious new wrinkle is Dutch legend Danny Wolfers, who as Legowelt adds analog whooshes and an acid-tinged kick to his remix of the title track. Rather than keep Souleyman's stoic, powerful voice front and center, he instead beams it in from another galaxy.